Limerick to become the first northern hemisphere to host Tag World Cup! Home / Community / Limerick wins bid to become first northern hemisphere host of Tag World Cup. 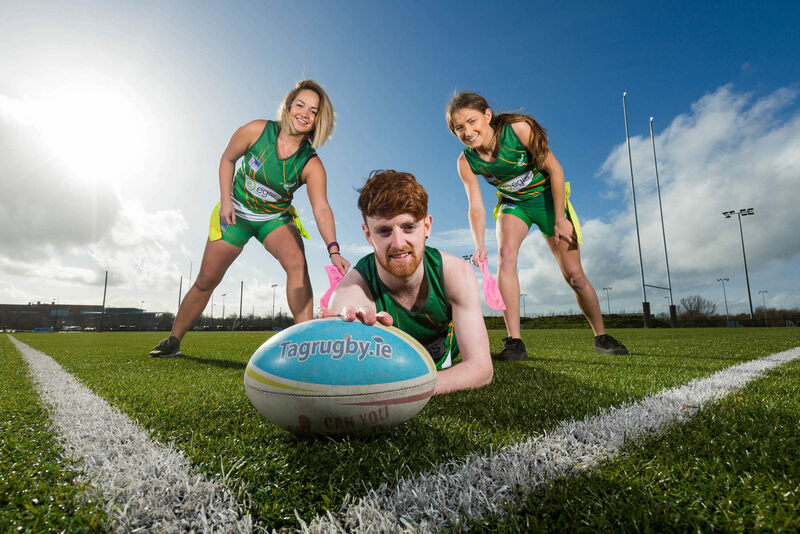 On Wednesday February 06 2019, the Limerick region’s status as a location for international events was underscored by the announcement that it has won the bid to become the first northern hemisphere host of the Tag World Cup. A joint bid led by the UL Conference and Sports Campus and the Irish Tag Rugby Association supported by Shannon Region Conference and Sports Bureau, Failté Ireland and Limerick City and County Council was successful in winning the event for Limerick, which will see 3,000 plus tag rugby players from well over 20 countries and their entourage travel to the Treaty City in August 2021. 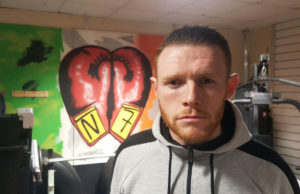 Lesley Walsh, Dooradoyle, Co. Limerick, Kevin Ahern, Templemore, Co. Tipperary and Julianne Grehan, Adare, Co. Limerick at the University of Limerick to launch the Tag Rugby World Cup 2021. 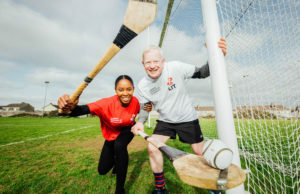 The bid involved a year-long process that was initiated after two of the Tag Rugby Ireland management team, Barry Keary and Shane Landers, approached the UL Conference and Sports Campus team with the idea. Welcoming the announcement, Mayor Collins said that it was a victory for Limerick and recognition of its status as a city of great hospitality and great facilities. 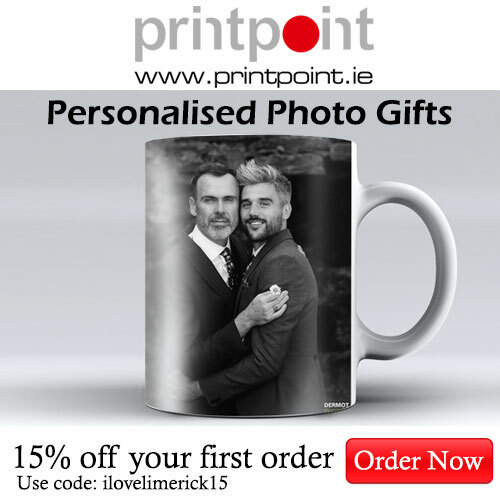 “We all know Limerick’s proud sporting heritage, not least in rugby. Tag rugby has become very popular in Limerick over recent years, not least as a result of the hugely successful Pig ‘n’ Porter festival. 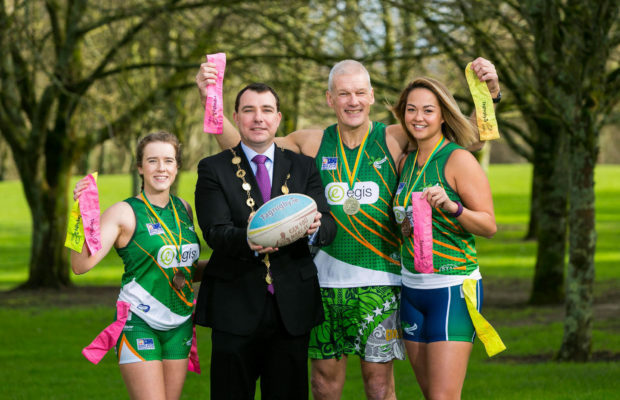 The Tag World Cup is, however, a very serious and competitive event and tailor made for Limerick. We have the rugby DNA, the hospitality and warmth and UL provide outstanding facilities so the mix was perfect and the bid equally so”. Ian McNamara, Nenagh, Co. Tipperary, Lesley Walsh, Dooradoyle, Co. 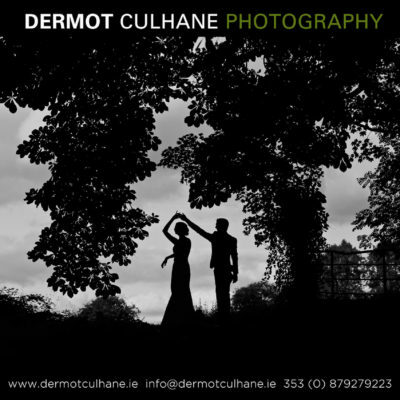 Limerick, Kevin Ahern, Templemore, Co. Tipperary and Julianne Grehan, Adare, Co. 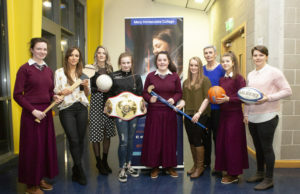 Limerick at the University of Limerick to launch the Tag Rugby World Cup 2021. Lesley Walsh, Dooradoyle, Co. Limerick at the University of Limerick to launch the Tag Rugby World Cup 2021. 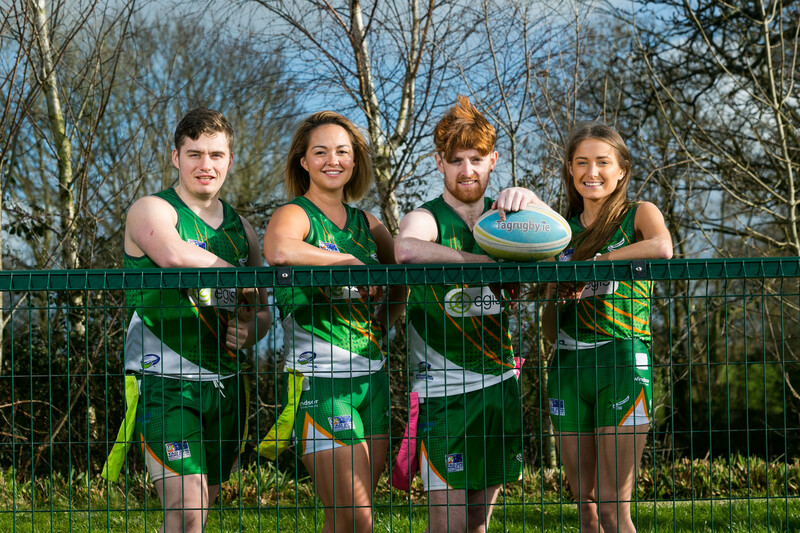 Limerick is one of Ireland’s top centres for tag rugby, with the annual Pig ‘n’ Porter festival one of the biggest annual in the country, drawing teams in recent years from as far afield as Australia. 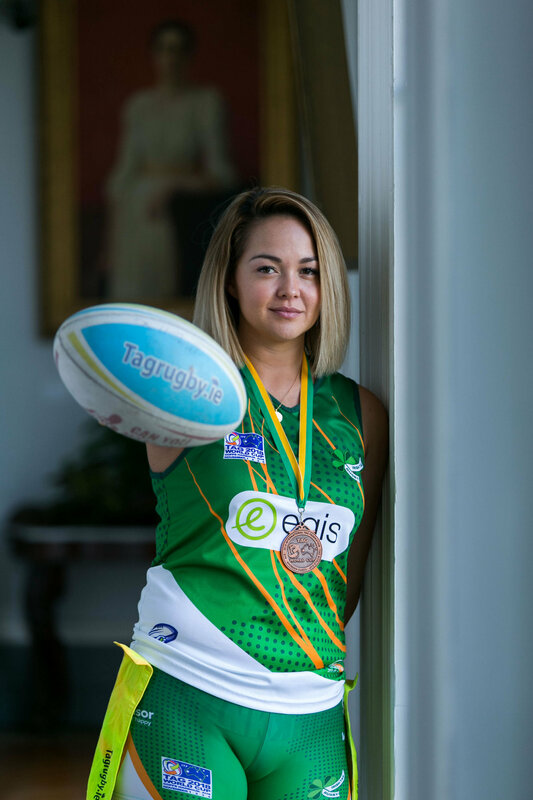 Ireland has also improved its ranking in the game over recent years, winning a number of medals in mens and womens competitions at the last Tag World Cup. The competition will involve various age categories in men’s, women’s and mixed. Teams have to be registered through their national federation to compete. For more information on tag rugby, click here. 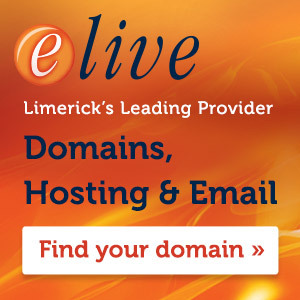 For more information about sporting events in Limerick, click here.